PM Modi had said on Saturday that the Congress did not even consider the Punjab Chief Minister as their own. PM Modi added that Mr Singh marched on like an independent soldier. Chandigarh: Dismissing Prime Minister Narendra Modi's remarks regarding him as "frivolous", Punjab Chief Minister Amarinder Singh on Saturday said that such remarks will not be able to create wedge between him and the Congress party. In his retort, Mr Singh dismissed the Prime Minister's remarks as part of the "BJP's futile attempts to create a wedge between him and the Congress high command through frivolous and unsubstantiated statements ahead of the 2019 Lok Sabha elections". Questioning the source of PM Modi's "information", Mr Singh quipped: "I don't remember complaining to him (PM Modi) against the Congress high command. Did the high command go and complain to him against me?" "One really fails to understand what prompted Modi's ill-conceived and unfounded remark," Mr Singh said, asserting that neither he nor the Congress high command needed the Prime Minister's advice on how to manage their internal relations. 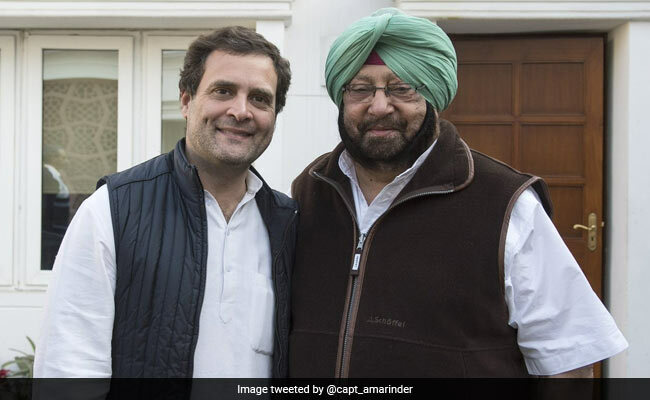 "I know my business and I know how to run my state and manage my relationship with my party high command, which is more than one can say about the BJP leaders," said the Chief Minister, adding that the Congress high command had full faith in his leadership and had given him a free hand to bring Punjab out of the mess into which the BJP, in alliance with Shiromani Akali Dal (SAD), had plunged the state. Mr Singh said that he was a "loyal soldier of his party" and that he was "leading the party in Punjab in a truly democratic manner, as becoming of a party of the stature of the Indian National Congress, and as guided by the party high command". "Contrary to what Modi would like to believe, the Congress was not a fly-by-night party which he could simply wish away," Mr Singh said, declaring his party's complete readiness, under the leadership of its President Rahul Gandhi, to take on the BJP in the parliamentary elections next year. "And I am personally set to take this battle to the finish, Modi," the Chief Minister declared, adding that the Prime Minister's 'jumlebaazi' would not have any impact on either the Congress leadership and workers, or the citizens of the country.